Q1. Do you have any tips for winter driving ? 1. The legal limit for tyre tread is 1.6mm, however in very wet weather this may not be sufficent to dispel the water efficiently and a tread depthof 3mm is advisable. Make sure your tyre’s are inflated to the correct pressure too! 2. Screen Wash – Use the real thing. Do not use washing-up liquid and water as it will freeze and be of little use. 3. Before setting out – If you are going on a long journey or your car is less reliable than you’d like it to be, a bar of chocolate and a flask of your favourite warm drink will be most welcome in the event of a breakdown. 4. Check and replace anti-freeze. 5. Clean your lights and check the bulbs. 7. Check weather updates for your entire journey before you leave. 8. Clear snow from the roof of your car as this can slip down your windscreen and obscure your view and create a hazard for other road users. 9. If you have an older car and use something to insulate the engine, hang something from your steering wheel to remind you to remove it before you start the car, thus avoiding a call to the fire brigade. 10. Bodywork – Wash the car regularly to remove deposits of dirt and salt, remember that wet and damp weather are the ideal breeding grounds for rust. Remember you can be fined up to £2500.00 and receive 3 penalty points if the police consider your car to be a danger to other road users. Q2. How do I get my provisional driving licence ? You can apply for a provisional driving licence up to 8 weeks before your 17th birthday. You can pick up an application form from your local post office or you can apply online. Q3. What if I’m not 17 years old yet but want to drive ? 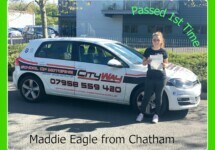 Let us know when you are 17, and you will qualify for a FREE 1 our driving lesson. Please complete the form on the bottom of this page. Q4. How old do I need to be to drive on the road ? As a rule you can ride a moped from 16, subject to completing compulsory basic training (CBT) and hold a provisional licence. You can apply for a provisional licence up to 3 months before your 16th birthday. You can usually drive a car, from your 17th birthday, subject to having a provisional licence. You can apply for your licence up to 3 months before your 17th birthday. The earliest that you can take your theory test is your 17th birthday. For further information about when you can drive. Q5. How do I pay for my driving lessons ? lessons over the phone. You can also book via my website, using the add to cart buttons, and pay using your paypal account or debit card. Q6. Are the cars you use fitted with dual controls ? Yes. 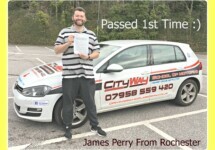 For your safety with have fitted our vehicle with dual controls so your instructor can always take control if needed. Q7. Are there any discounts for block booking my driving lessons in advance ? Yes, there are various discounts for purchasing your driving lessons in advance. Please see our Lesson Prices Page and Gift Voucher Page for more information. 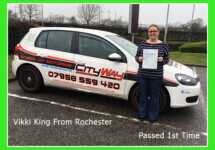 Remember that if this is your first driving lesson then you qualify for2 hours driving tuition for the price of 1 – The first hour is FREE !! Q8. Do you cover intensive driving courses ? Q9. Can you help me book my theory or practical test ? Who will be happy to assist, Remember this service is FREE, no additional admin fees will be taken from you. Or you can visit my Book Your Theory and Book Your Practical Driving Test and book via the Driving Standards Agency (DSA). Please note that there are several internet websites offering to book your theory and practical test for you, and charging you a large additional fee for the privilege. Don’t get caught out !! Q10. How long is the wait for a theory test ? This varies from area to area; typically it is between five and fifteen days. Please ask your driving instructor for details in your area. Q11. How long is the wait for a practical test ? This varies from area to area; typically it is between 6 – 8 weeks. Please ask your driving instructor for details in your area. Q12. How many lessons will it take to get me to test standard ? This is a hard question to answer as everyone learns at a different rate. The DSA (Driving Standards Agency) state that the average person will require 40 hours of professional tuition, together with around 22 hours of private practice. However many pupils will not require this amount of tuition. The first step is to arrange an assessment driving lesson 2 Hours for the price of one. At the end of the assessment, I will be able to give you an honest indication of how many hours it will take to get you to test standard. Q13. Do you conduct a practical mock test ? Yes we can, Once you have reached a suitable standard of driving. Your driving instructor will conduct your Mock Driving Test in the same manner as your driving examiner would do. This will give you an honest indication of how you can perform with no assistance from your driving instructor. If you are learning through a different driving instructor, and want an honest opinion of your driving, or want us to do a mock driving test, that is fine. Please contact me on the telephone number above. Q14. Have you got any practical test tips ? Yes we do, Please visit my Practical Test Explained Page. Q15. Can I still take driving lessons even though I have points on my provisional driving licence ? Q16. Will I lose my licence automatically when I pass my driving test with 6 or more points on my licence ? When you come to pass your driving test, you will come under the New Driver Act. If you build up 6 or more penalty points within the first 2 years of passing your driving test, you will lose your driving licence and would need to apply for a new provisional driving licence and resit both your theory and driving tests again. The points on your licence before passing your driving test, still count. Although if you have more than 6 but less than 12 penalty points, thats ok. However, if you get any more penalty points that bring you to 6 or more penalty points then you would automatically loose your driving licence. Q17. What happens when I get my driving licence back having been banned ? After your ban, you will need to re apply for a provisional driving licence again, and pass both the theory and practical driving test. Once you have passed your driving test, you WILL NOT be classified as being under the New Driver Act again. The penalty points you have on your licence expire at different dates, depending on what they were for. If your penalty points go to 12 or more, you will lose your licence again. Q18. How can I check how much my driving lessons will be ? You will find this information either in our Prices Page, Gift Vouchers & Special Offers. Q19. How long will my lessons be ? Lessons can be in any amount that you wish – 1 hr, 1.5 hr, 2 hr, or more. However you will gain more out of your lessons, if you opt for the 1.5 hr or 2 hr lessons, especially in the early stages of driving. Q 20. Do you do Pass Plus courses and if so, how much do they cost ? Yes we do, please visit my Prices Page for costs and visit my Pass Plus page for more information on this driving course.